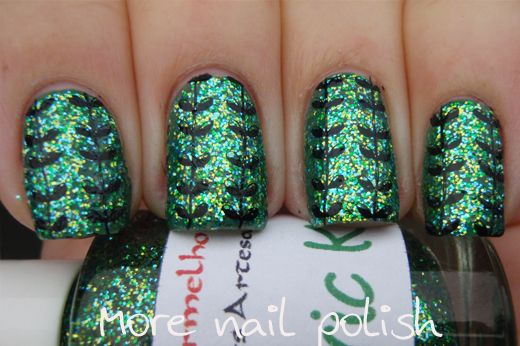 I have a couple more polishes out of Brazilian indie brand Vermelho / Marcia Lima to show you tonight. 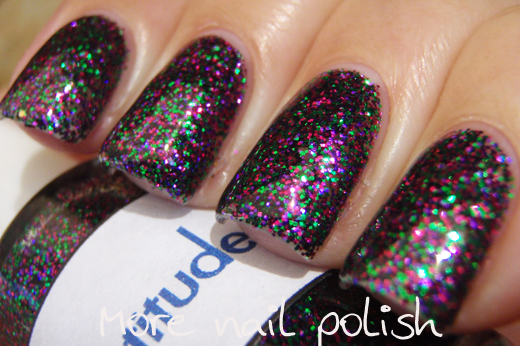 Attitude - This has a mix of green, purple and fuchsia holographic glitters. 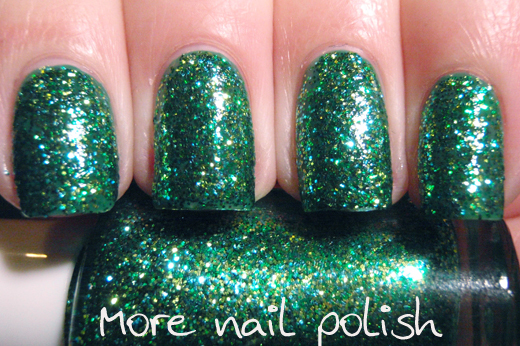 No need for a base colour under this one as you can achieve opacity in two easy coats. Because it's all fine glitters it does dry a little rough. I did three layers of top coat, but the effect is so worth it in the end. 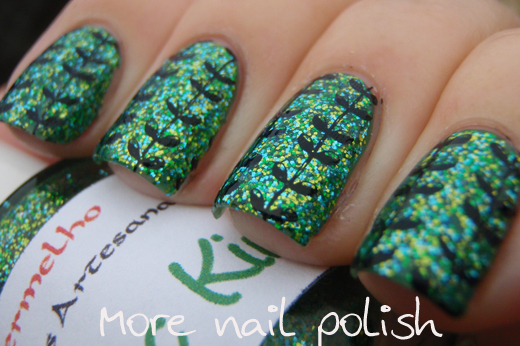 Electric Kiwi - a mix of a few different shades of holographic green glitters in a clear base. 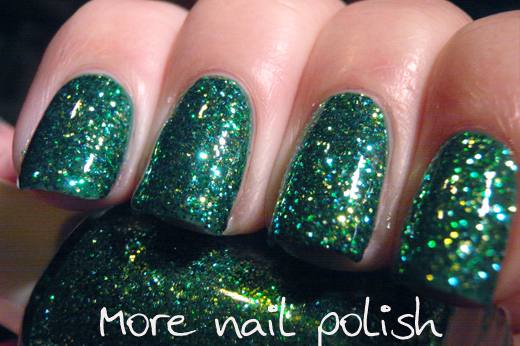 Again this polish doesn't require a base colour because there are so many tiny glitters that provide full coverage. The rich green base made me want to stamp something earthy and plant like, so I chose this vertial leaf design from the forest plate by Messy Mansion (MM19). I was pretty excited that I almost hand straight vertical lines! I've really been impressed with these polishes from Vermelho. 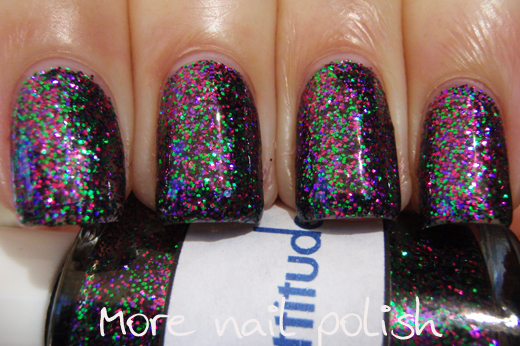 My first impression was that they are very simple glitter mixes, but I think that is what I love about them. 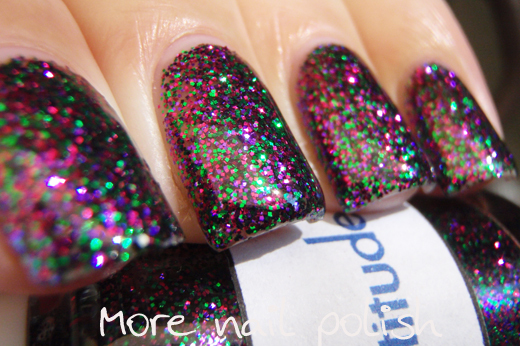 I'm also a big fan of coloured holographic glitters and these polishes have loads of them. 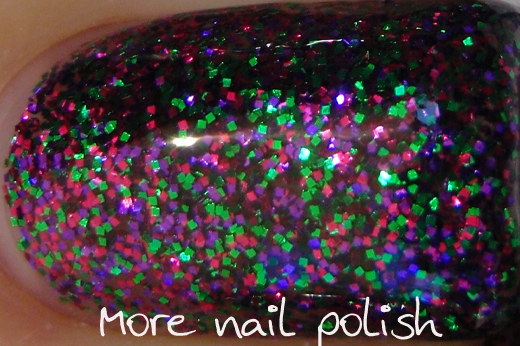 Although I find photographing holo glitters really difficult - so as always with holo glitter polishes, imagine these way more awesome in real life. 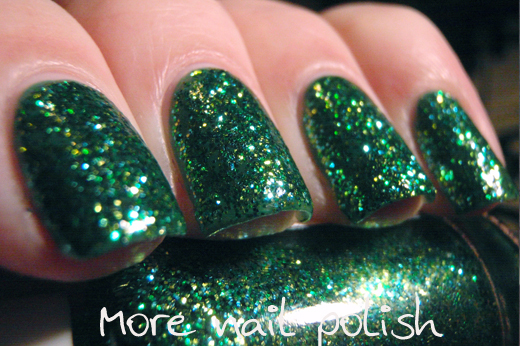 Vermelho polishes are available from Vermelho Accessories in Brazil (with no international shipping. 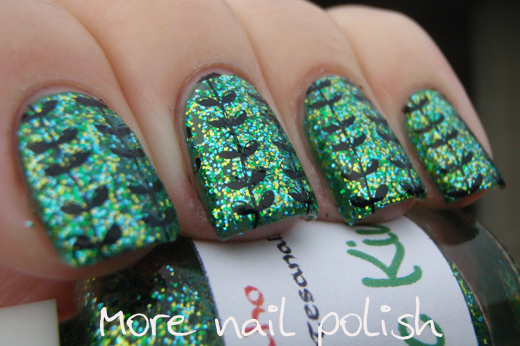 But I got mine from Color4Nails, who stock a large range of commercial and indie brands and ship worldwide. Ooooh thank you for the beautiful review! And thanks for helping me find a new store ;) I got a Femme Fatale I'd been lemming, a few Vermelho, and a couple other glitterbombs :D Thanks!! !